3) Enumerate - Confirmed coliforms are red and blue colonies with associated gas bubbles. Confirmed E.coli coliforms are blue colonies with associated gas bubbles. 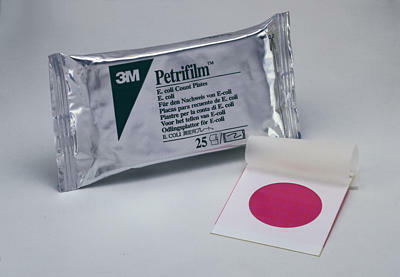 This 3M Petrifilm Plate can also be read in 4 seconds using the 3M™ Petrifilm™ Plate Reader.